When it comes to laundry- scent matters! Save Now! When it comes to laundry- scent matters! 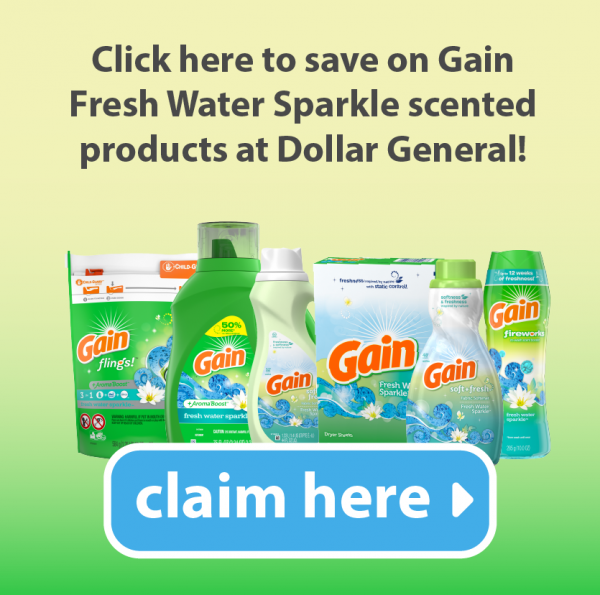 Gain Fresh Water Sparkle scented laundry products (exclusive to Dollar General) are sure to not only make your laundry fresh & clean, but offers a convenient solution to your laundry routine through a variety of product options….all without breaking the bank! Click below to explore the various coupon offers going on at Dollar General for a limited time!